Grandfathers raising grandchildren is one of the most recent trends related to father absence and involvement. I’m not talking about the traditional role many grandfathers play as another male role model in children’s lives. This trend speaks to grandfathers as the primary male role model when they step into the void left by absent fathers. As described in one of the new sections in National Fatherhood Initiative’s Father Facts 7, the number of custodial grandparents in the United States has doubled since 1970 to almost three million. Today approximately 10% of children live with a caretaker grandparent. Although most of the research on grandparents raising grandchildren has focused on grandmother-maintained households, we know more than ever about grandfather-maintained households. Twenty-three (23) percent of grandchildren raised by grandparents (with no parent present) live with their grandfathers. A large majority of these grandparents are between the age of 50 and 69 and have had custody of their grandchildren for more than five years. The highest rate of custodial grandparenting is in the South and among African American and Asian populations. 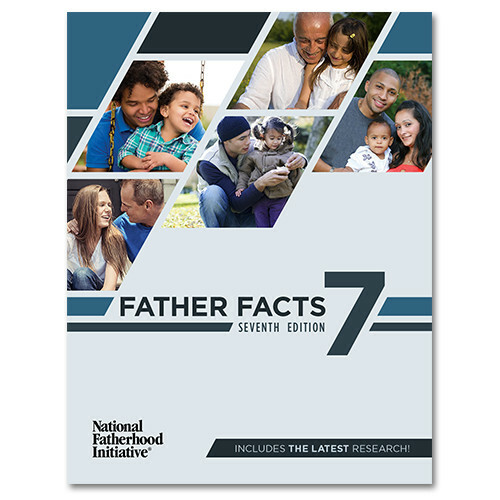 To learn more about grandfathers raising grandchildren, and to access the research and data, purchase and download Father Facts 7 today.